Most couples schedule their weddings in June in favor of the bride’s request to become a June bride. This is in relation to the belief that the month of June was named after the Roman God of love, June; thus, any bride married in June will forever have a loving relationship with her husband. If you are planning to get married June, then you should start preparing your wedding ceremony invitations. 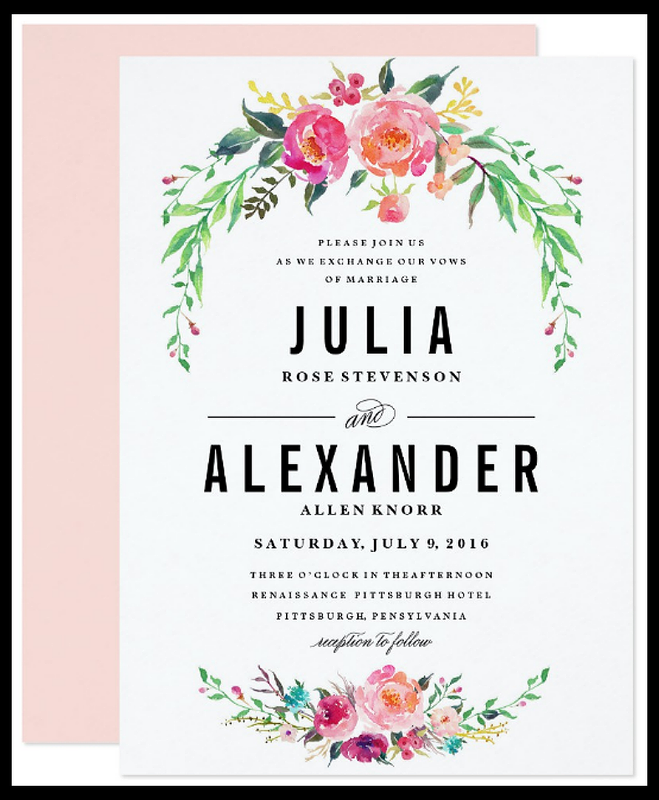 We have an entire collection of the most attractive floral wedding invitations, perfect for June weddings, on the internet that you can download and use for your own wedding. Go ahead and start inviting people to come to your spring wedding, and do it with elegance. Feel free to look at the samples below! 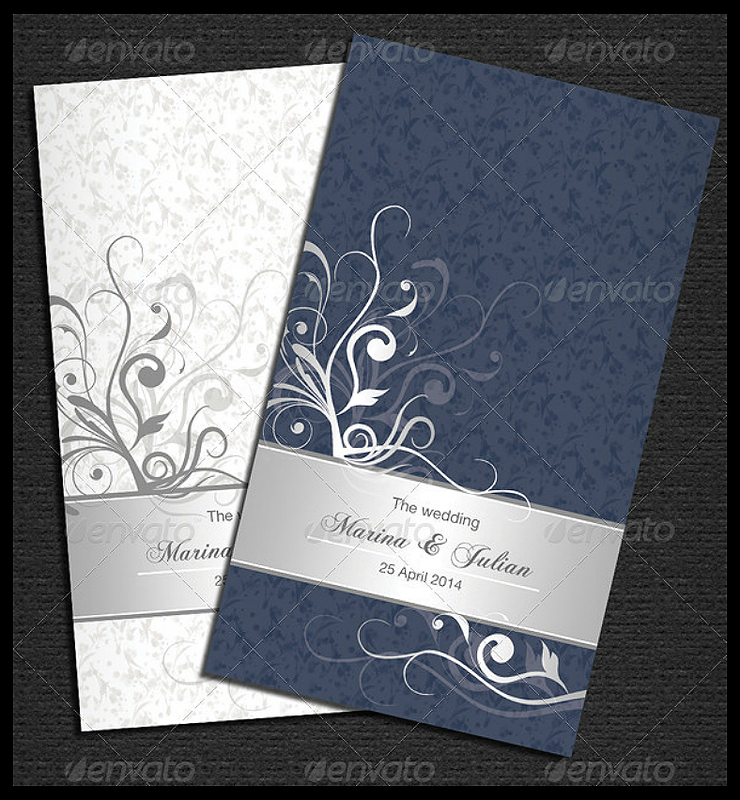 For a simple and clean-looking wedding invitation design in PSD, the one above is an ideal choice to download. 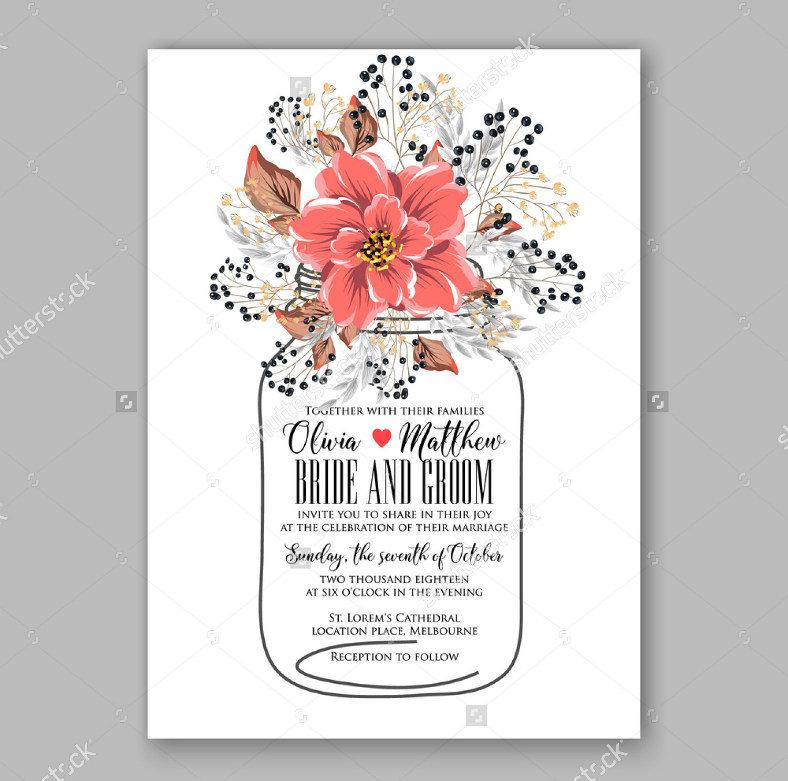 The flower features are illustrated in a silhouette and ornate fashion for an elegant look, while the background is kept simple with its solid color and floral patterns. 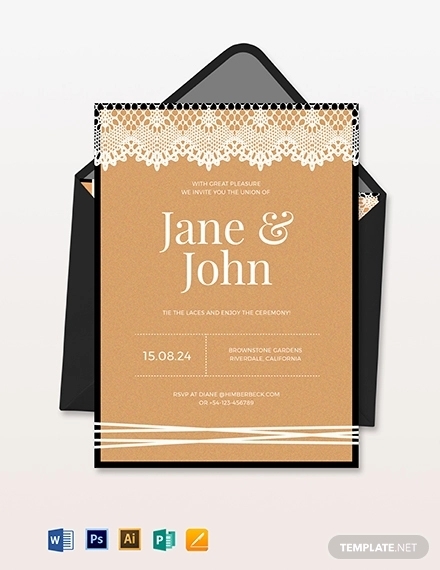 Save the date with this wedding invitation design! This bears a border of flowers illustrated through watercolor. 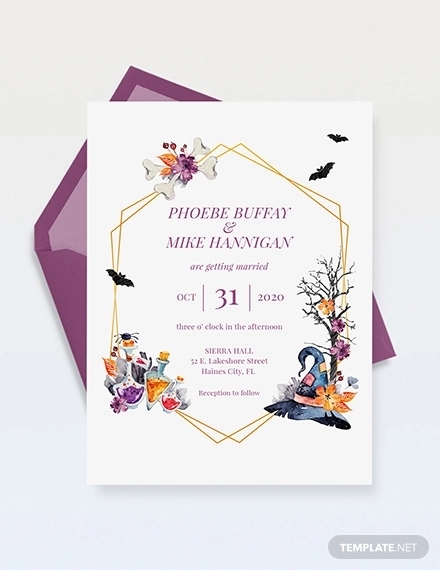 In the middle part of the design is a box that contains the necessary information about the wedding over a solid background. 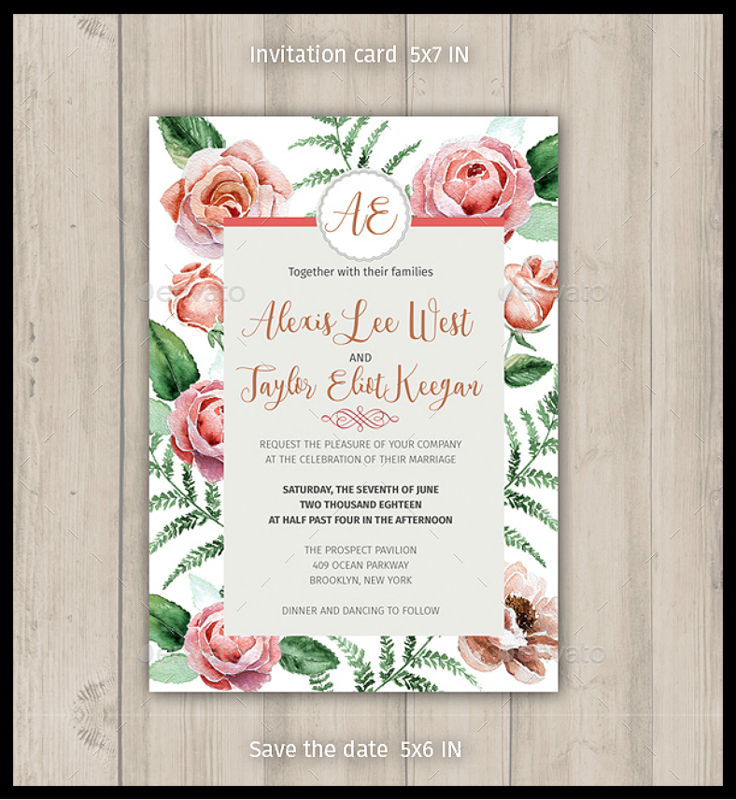 For only $8.00, you get a total of four PSD files which includes the Save the Date Card, RSVP Card, and a thank-you card design. 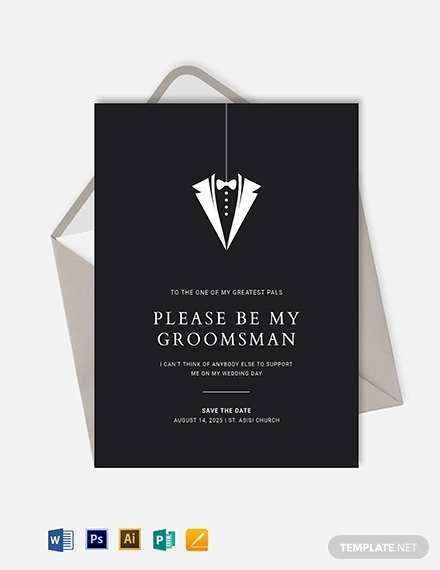 Why Do We Need to Send Wedding Invitations? 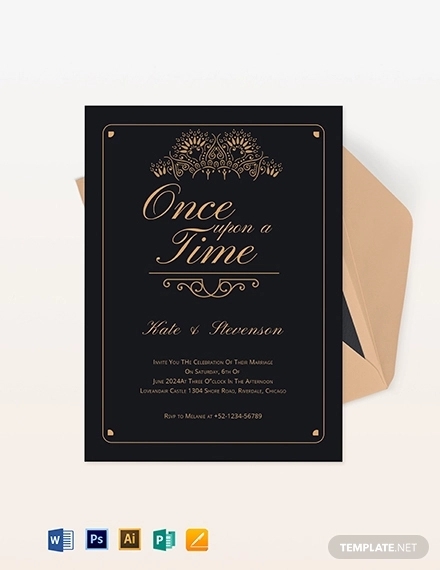 Wedding invitations inform people of an upcoming event in which two people will be joined in matrimony. 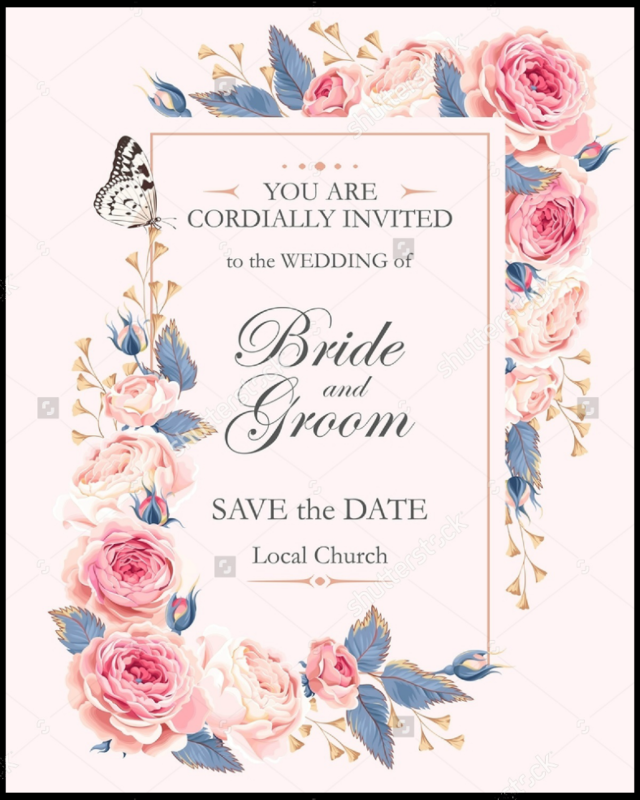 Wedding invitations provide more information than just the date and time of the wedding, it also provides the venue of both the ceremony and the reception, the motif of the wedding, and the respective roles of some attendees. 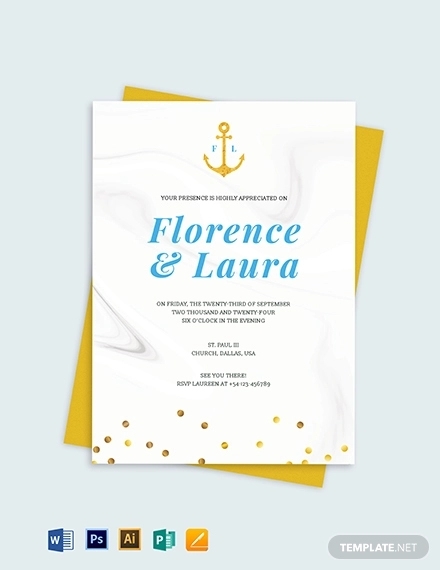 While we can always invite people through verbal means, sending an invitation card or letter is a more formal method requires a response through RSVP. 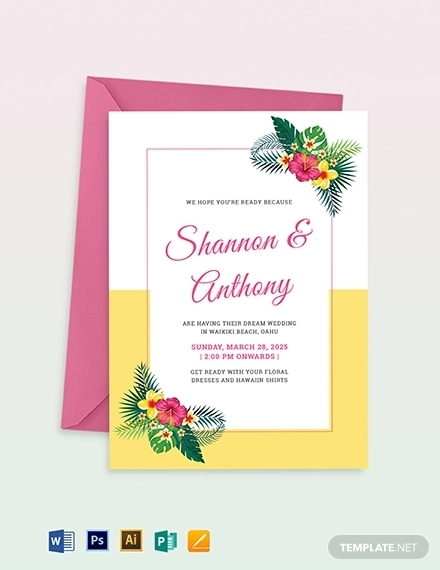 Once you have chosen your wedding invitation design from our collection, download it by clicking on the red download button, and pay the required fee. Edit your downloaded design using a photo editing software (we strongly advise you use Adobe products for the highest compatibility). After editing, have your design printed on high quality paper. Remember to have your printer at its highest setting for the best resolution. 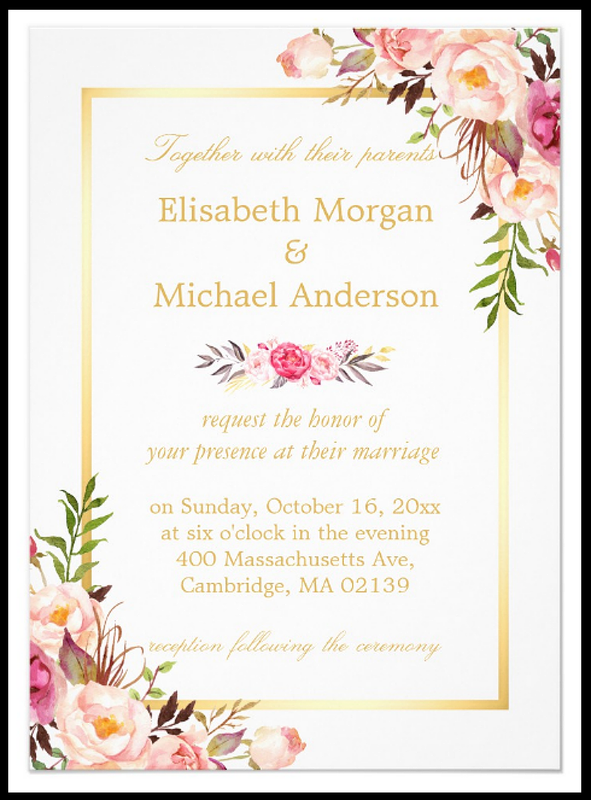 Make your wedding invitation look professionally made with this template design. This is the most common one used by designers, and to make yours look better, we have included watercolor floral images on the corners of the image. If you want an expensive-looking event invitation that is also fully editable, download this design. 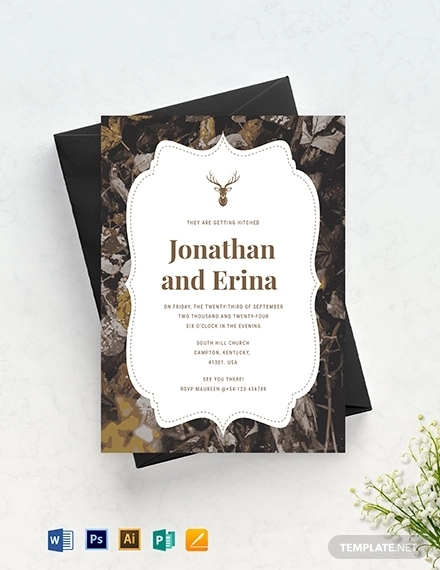 Wedding invitations set the mood for what is to come on the wedding day. It gives the invited guest an impression on what to expect, so it is best to make the best out of your wedding invitations. Since it is very costly to have it done by a professional, you can do it at your own convenience with the help of these designs. 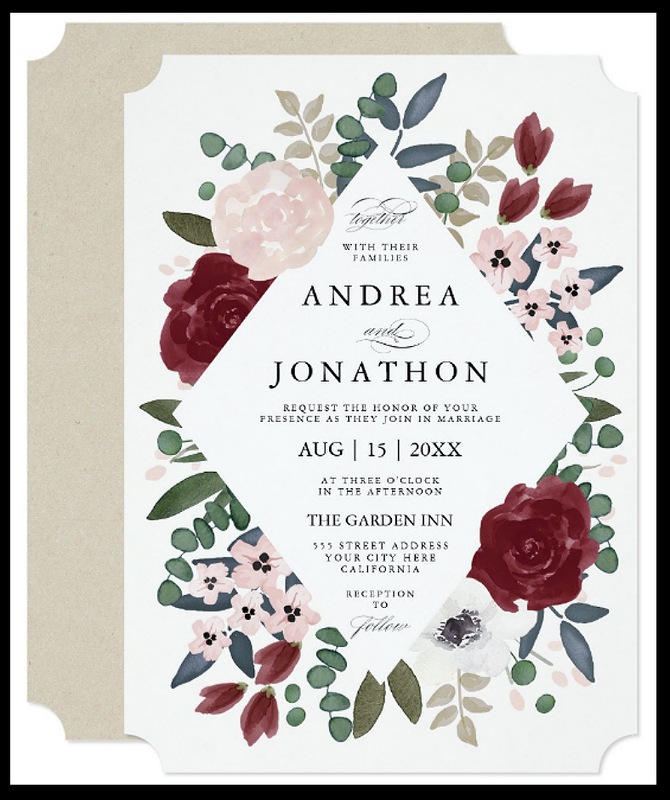 These floral wedding invitation designs were gathered from the best ones, and from very reliable sources just so we can provide you with the highest quality formal invitations. These samples are also fully editable to make it even more easier for you to make changes on the designs without affecting the quality. To bring out the vibrant colors and the sharpness of the images, make sure to use high quality paper or card stock when printing.